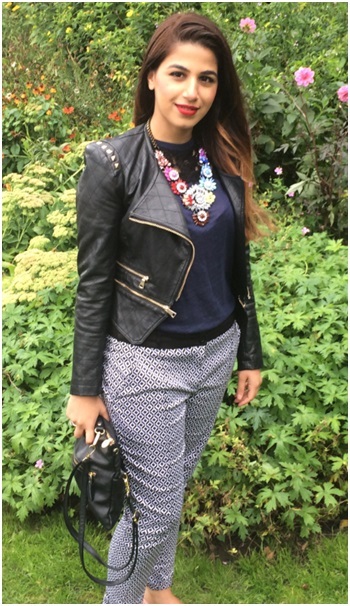 Today’s interview is with Fawzia Docrat who is the owner of Ziba Styles and Market Insights Manager at a Global Consumer Goods Company. She currently resides and works in London on a temporarily basis while running Ziba Styles in South Africa. Ziba Styles is a combination of glamorous necklaces, on trend accessories, high fashion clothing and most importantly personal service offered online across South Africa. Through my Facebook and Instagram platforms, I wish to empower women with inspiring stories from everyday awesome women. 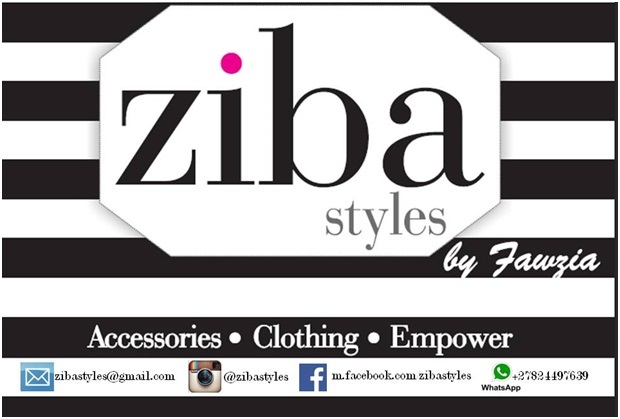 My hope is that Ziba Styles is not seen as just an ordinary fashion store but also reflect my deep passion for female empowerment. Where did the idea for your business come from and what were the initial steps that you took to start your business?I have been working in a corporate environment for the last 6 years. While I absolutely LOVE my job, I have always dreamt of doing something in fashion. I have been working in a corporate environment for the last 6 years. While I absolutely LOVE my job, I have always dreamt of doing something in fashion.I started Ziba Styles in May 2013 as a pop up store in Durban. I was initially really shy and would admit that I did not do a great job with marketing the pop up. It still surpassed my expectations and I continued to sell to friends, family and colleagues.Being a naturally shy person my greatest fear was always people interaction and I feared how I would be perceived on social networks, which is why it took me 7 months to actually promote Ziba Styles on Facebook. Facebook completely evolved how I conducted my business. It provided me access to women across South Africa. In May 2014, a year after I started, I plunged and joined Instagram, which has helped push my brand even further and has truly surpassed any expectations I have had. Ziba Styles is fully sponsored by myself. I started very small and I continue to reinvest profits into capital to help grow my business. My greatest motivation has to be my interaction with the lovely women I have met through Ziba Styles. I do not like to refer to Ziba Styles buyers as “customers” or “clients”. A lot of them have now become my friends, and since I started, I have interacted with so many interesting woman, each with their own personal story that continues to inspire me. These women fuel me with positivity and demolish any fears I initially had on how I would be perceived socially. This is a really good question and something I continue to ask myself. If I had to rewind to a year ago, I would definitely not have expected that I would be at this point today and still running Ziba Styles, so where I am today would have been considered successful! I have now completely re-evaluated what success for me looks like. To me it is when I get a message from someone after making a purchase telling me that they love their purchase. This is my success! Praises to God, I was brought up by strong independent women so I honestly did not have to look far for inspiration growing up. I could not be more proud of the three special women in my life who have fuelled my growth. My granny, who although only schooled until Grade 2, she taught herself English and how to read and write and went on to run a business until the age of 77. My Mum for teaching me the value of an education by going back to becoming a full time student at the age of 40 and obtaining a Law degree with 4 young kids. She has also been voted lawyer of the year for two years and featured in Destiny Magazine. Lastly, my sister who has taught me the value of owning a passion for what you do. She is a Doctor by profession and a Surgeon in the making while being a mom to a two year old. I must also admit that I am completely obsessed with our South African history and the strong men and women who have revolutionised this country (most go unnoticed)! Ahmed Kathrada is one of my personal heroes. As I temporarily live out of South Africa I had to put the trust in someone else to take control of all on the ground work. I am fortunate to have Munirah Jassat who has helped me to continue running Ziba Styles while I am away. I do not think I would have been able to continue doing what I do without the beautiful ladies who have supported me even if it is just through a “like” on my post. Without them, I would have closed a long time ago and I would have allowed my fears to get the better of me. In one word, characterize your life as an entrepreneur. Passionate!! What are some of the biggest mistakes you’ve made and how have you learnt from them?I don’t necessary consider this a mistake, but my doubts often got the better of me. I often wish I had shifted on to social media as soon as I started! I don’t necessary consider this a mistake, but my doubts often got the better of me. I often wish I had shifted on to social media as soon as I started! Ziba Styles is actually my part time job. I continue to work in corporate and earlier this year I was offered an amazing opportunity to transfer with my company to London. My job is extremely demanding so I have a very fine balance between the both but I am really lucky to have Munirah supporting me in South Africa as well as two stockists, Tasneem Vally in Benoni and Salmah Bayat in Cape Town. Living in London has been great and every weekend offers something new and exciting to do! My husband and I love going to the theatre and visiting new places. My Ziba Styles and life philosophy is simple: Treat people as how you would want to be treated! What’s to come for Ziba Styles? I honestly get anxious thinking about everything that I want to do with Ziba Styles!! Currently time is my biggest barrier but I am proud to announce that in 2015 my website will be up and running and will include a blog segment where I will share my complete lifestyle inspirations. I have more exciting collaborations coming as well so watch this space!